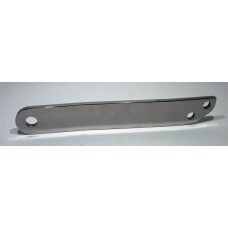 Here you have a BSA brake anchor strap. 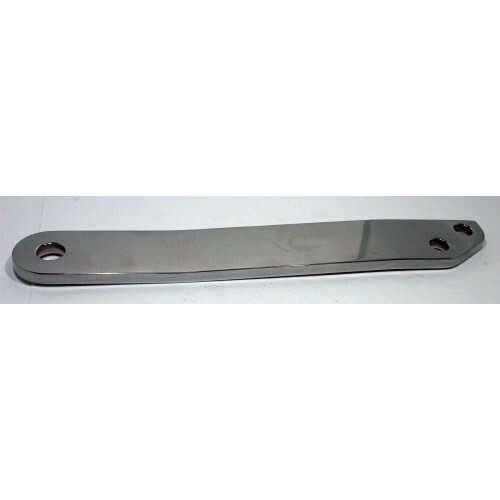 This anchor strap has been produced in solid stainless steel and manufactured as a direct replacement for the original part. This has been shaped to the correct angle of the original brake strap and fits both the 8” single sided and 190mm front brakes. The two holes at the top of the anchor strap are used to bolt through the fork sliding tube (67-5057) and front mudguard bracket. The larger singular hole at the bottom connects on to the brake plate anchor stud (67-5577). This item may fit other models but please check your part number. Each part has had at least 3 hours in our tumbler, this gives them a good finish, please see photos! The finish is not "chrome" or "show finish". 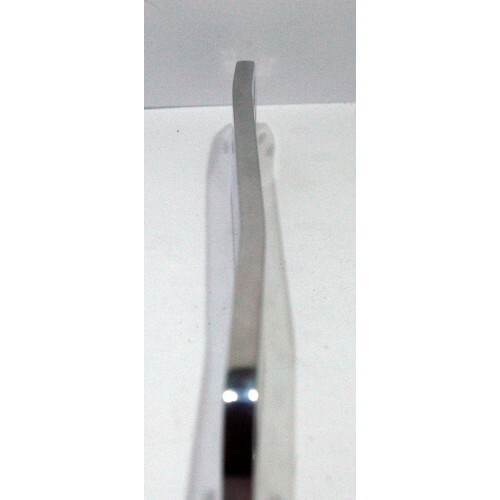 This item is made using CNC manufacturing in England by CPC Engineering with high-quality stainless steel.